Whether it's the Easterner's awe at hearing an elk bugle for the first time or a lowlander's wide-eyes at the steep peaks and oak benches of Appalachia, there's something about the mountains that call out to every hunter. Those that live among them are the lucky ones, for all that country lies outside their door. The rest of can only visit on occasion and spend the rest of the year dreaming. To fuel those fantasies of packing up and moving, we've compiled (but not ranked) a list of ten of the top mountain towns. The ones that made the cut present the widest range of opportunities analyzed with some criteria in mind, including cost of living index (with a base of 100 for the U.S. as a whole) and median household income. We also considered hunting opportunities, tag availability and that one intangible — the cool factor. As with any list limited to 10, ours is sure to start arguments. Hunters don't have to travel far outside of Laramie before pronghorns start popping up. There are, after all, more antelope in Wyoming than people. Tag availability for them, as well as elk and deer, is a hit or miss proposition — not as easy a draw as the Judith basin, but no Red Desert either. Like anywhere, it all depends on the unit. Bird hunters target local waterfowl before what is usually an early freeze-up and enjoy some limited wingshooting for grouse in the mountains. Laramie is a college town, home to the University of Wyoming or U-Dub to the locals. It's grown hipper over the years creating an interesting culture clash of cowboys and hippies, but that just makes for a better nightlife. Make sure to hit the Buckhorn for drinks. This secret little corner of the San Juans is a big-game hunter's dream, but don't come to the resort town without a little walking around money. The cost of living is one of the highest on our list, but with out-the-door access to the elk herds of the San Juan National Forest, and over-the-counter tag availability for archers, it might be worth the spend. The area also offers some of the state's better mule deer numbers, and healthy populations of both black bear and mountain lions, though state politics make hunting those two predators more challenging than say, Idaho. Maybe Pagosa's best selling points are the town's hot springs offering backcountry hunters a post pack-out soak. Unit 19A holds some of Arizona's biggest antelope, but many live close to town so don't expect a solitary hunt. Still, their size makes them worth fighting the crowds for. Elk, muley and coues deer opportunities are limited, but the surrounding scrub and mountain terrain do hold huntable populations of javelina. Small game hunters target tree squirrels and the area is good for Gambel's quail. Set at the perfect altitude, 5,400 feet, it escapes much of the desert heat when the rest of the Arizona bakes in the summer. Culturally, it's cool, but, as a distant bedroom community for Phoenix, starting to succumb to some suburban sprawl. Your best hunting bet outside of this cool little burg is booking a poor-man's sheep hunt for aoudad with Desert Safaris. Optically intensive, the safari will have you glassing for the massive, sweeping horns high on the basalt cliffs of the nearby Davis Mountain. The region also holds pronghorn, big mule deer and, even free-range elk, not to mention the diminutive Carmen Mountain whitetails. In town, Sul Ross State University produces rodeo champions, buckle-chasing bunnies and an inspired nightlife for a place so far from anywhere. To get friendly with the locals while enjoying a wide range of music, spend a night at the nationally renowned Railroad Blues bar. We admit it, Asheville gets high marks as much for its nightlife as its outdoor opportunities. The Biltmore-adjacent burg is quickly becoming the hottest destination in the U.S. for hipsters thirsty for both an excellent beer selection and a country vibe. Hipsters are the new wave of hunters after all, so we expect to see an increase in ironic mustaches and suspenders in the surrounding Great Smoky Mountains. There are a few whitetail around, but in smaller numbers. Instead, bears may offer better opportunities for big-game hunters. There are however, an abundance of squirrels, making Asheville a great destination for small-game enthusiasts also looking for a hip time. Sure, there is no last best place in Montana anymore — they've all been discovered, but Whitefish might have been the longest to hold out. It certainly has its fair share of art galleries, but, unlike some other Big Sky cities — cough, Bozeman, cough — there's still plenty of country to be found within the city limits. Outside of town, hunters will also find big-game opportunities galore. In fact, the Flathead National Forest might be one of the nation's best sleeper spots for trophy whitetails. It's also great location for spot-and-stalk bear hunting come springtime. In town, the Buffalo Café serves up its namesake breakfast "pies", which take the form of haystack-high hashbrowns piled with eggs, cheese, sausage and other fixin's. Sure it's named for a fish, but hunters will find plenty to keep them busy in this little burg. For one, it's the gateway to Frank Church — River of No Return Wilderness, a 2.4 million acre wonderland. Add in another million or so acres of roadless wilderness nearby, and it's no surprise this little town ranks high on our list. It's also among the diverse, in terms of species. Elk, mule deer, whitetails, bears and mountain lions give big-game hunters options, while wingshooters have access to adventurous waterfowling on the Salmon River and some of the country's best chukar hunting in the surrounding high country. If the blackjack tables don't call too often, this small town keeps your cost of living low, making it a great base for hunters looking to call the Black Hills home. And unlike other places where gambling is a draw, Deadwood holds its vices close to the vest, resulting in a classic Old West vibe on all but the busiest holiday weekends. Those are the days to head into the pine-studded buttes chasing Merriam's turkeys and mule deer. Should you draw an elk tag, there's a good chance of tagging one as the unit's success rate annually exceeds 70 percent. Those are some of the best odds you'll find anywhere. With the lowest cost of living on our list and close to the highest median income, Fayetteville is a great place to live large. You'll also enjoy one of the best views in the East from the soaring bridge straddling the New River Gorge, which happens to be one of the few National Parks that allow hunting within its border. Better have your lungs and legs ready, because it seems wherever you stand, the only way to go is straight up. And that's always where the turkeys are gobbling. Deer also roam the hills and hollows, though it's the bear population that's really on the increase. And of course, this is Appalachia, so squirrel hunting holds the strongest tradition of all. With the Uinta Mountains to the north and the Book Cliffs to the south, Vernal is sandwiched between two of the West's best big-game hunting units. Oh, and don't forget the Wasatch front just to the West. Like anywhere in Utah, limited tag availability prevents Vernal from rising higher on our list. However, the trophy quality makes the long wait to draw worth it when you put your pins on a world-class elk or mule deer. 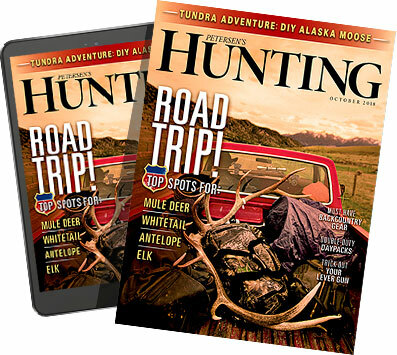 Alesha Williams of Flying J Outfitters leads pack trains into the wilderness and can guide hunters through the application process for the best chances of a draw. The high medium income can be attributed to an oil boom, which also brought comfortable, if not exactly cultural, amenities typically found in larger towns. What's your dream mountain town to live in?